Home/ About Us/ Subsidaries/Wuhan Ya Xin Cement Co., Ltd.
Wuhan Ya Xin Cement Co., Ltd.
Wuhan Ya Xin Cement Co., Ltd. (the “Company”, formerly Wuhan Xinlingyun Cement Co., Ltd.) was established in August 2003, with a registered capital of RMB30 million. The Company has easy access to transportation network. It is located in Zhifang Street Jiangxia District, Wuhan City, and is close to 107 National Road, as well as Beijing-Guangzhou Railway and Beijing-Zhuhai/ Shanghai-Chengdu Expressway. In response to the national industrial policy, the Company has adopted new dry-process cement production techniques. 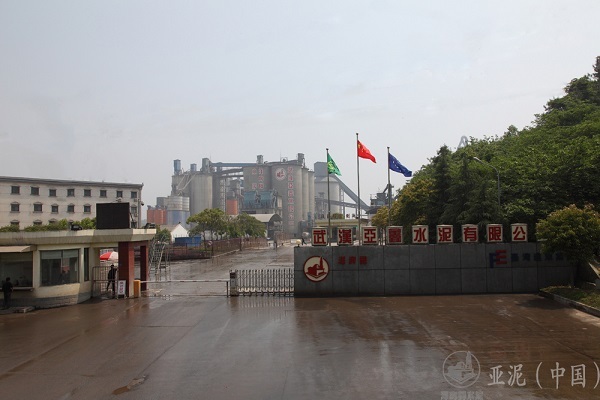 A new dry-process cement production line, with daily clinker capacity of 4,000 tonnes, was completed at the end of 2007, following the approval of the Hubei Provincial Development and Reform Commission. On 12 July 2010, Hubei Ya Dong Cement Co., Ltd. acquired a 70% equity interest in Wuhan Xinlingyun Cement Co., Ltd. for a cash consideration of RMB236 million, and the Company formally changed its name to Wuhan Yaxin Ya Xin Cement Co., Ltd. In February 2012, the Company increased its registered capital by RMB60 million. The Company also modified and expanded #3 and #4 cement grinding mills, as well as modified the kiln’s cooler. The Company’s current annual clinker capacity or cement capacity is 1.2 million tonnes or 1.4 million tonnes respectively.